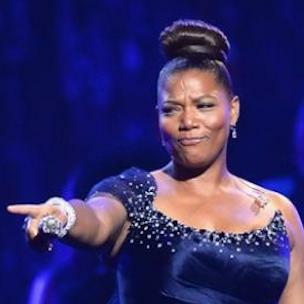 Queen Latifah paid homage to Nicki Minaj at the taping of the VH1 Big in 2015 With Entertainment Weekly ceremony. “You’ve become an inspiration to women everywhere,” Queen Latifah says during a video posted by VH1, which is scheduled to air the event December 7 at 9 pm EST. “I love how you’re never afraid to speak your mind. You’re a strong woman, you refuse to be backed into a corner. In addition to Nicki Minaj, VH1 and Entertainment Weekly honored the cast of Straight Outta Compton, Taraji P. Henson and Amy Schumer, among others.